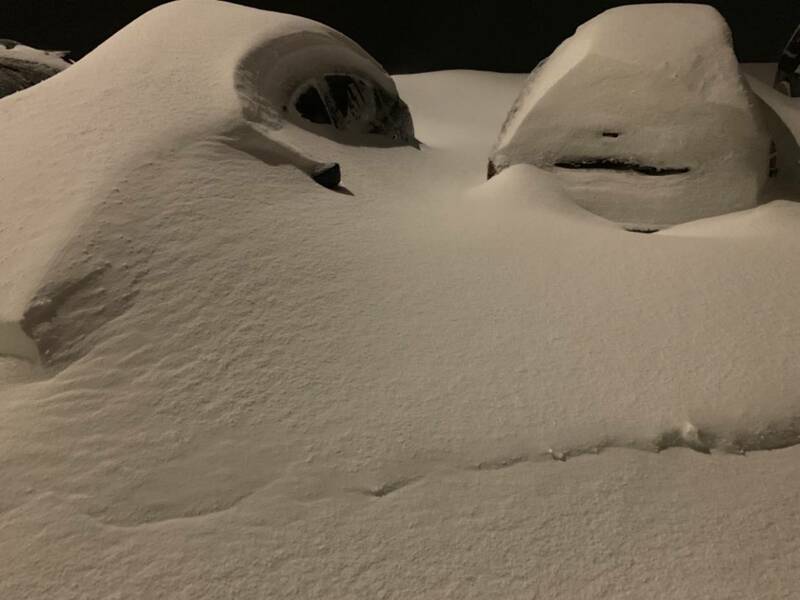 Cars covered in snow. Only 28” had fallen at this point. Photo taken on 4/10 around 9:30pm.